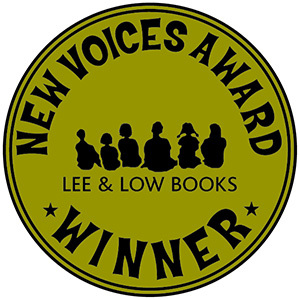 Last month we brought together past New Voices Award winners to see how they got their start writing picture books. Today, in our next installment in the series, we ask these talented authors to share their advice for new writers. Q: What advice would you give to a writer who is just starting out? I would ask a question: Why do you write? And if the answer isn’t “Because I must,” then I’d point out that perhaps you aren’t ready yet. Rainer Maria Rilke gave this same advice, though much more eloquently, in “Letters to a Young Poet.” The desire to write should stem from your core. Writers write every day, 365 days a year; some days you might produce 5,000 words and others, only a paragraph, but the habit of daily writing will develop and refine your style. Being a realist, I would also caution them to not quit their day jobs. Most writers won’t become a J. K. Rowling or Stephanie Meyer with the sale of a first (or second, or third) book. It takes persistence and courage. Talent is common, but persistence is the key to a career in writing and courage will buoy your spirits when facing the bane of rejection. Last, I would tell them to read like a wolf eats, to paraphrase author, Gary Paulsen, so you can know your genre and learn your craft. My advice? WRITE EVERY SINGLE DAY. Being a writer is similar to being an athlete who works out daily to keep his/her muscles strong. 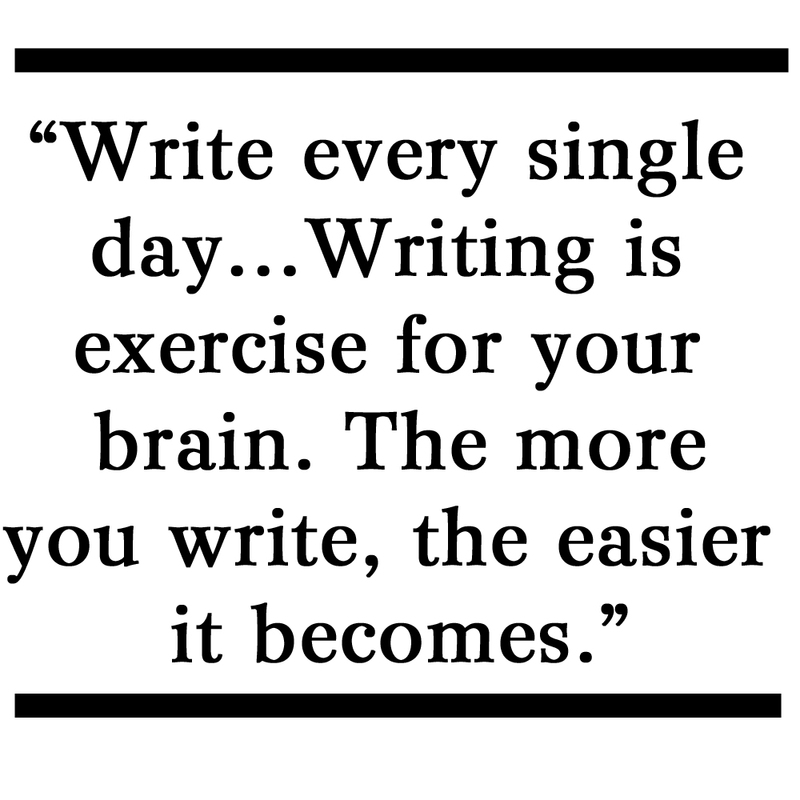 Writing is exercise for your brain. The more you write, the easier it becomes. Sure, it’s tough at first, but it’s just as tough for that athlete, too! For example, if you’ve never run the marathon, you’re not going to run 26 miles on Day One. Instead, you’ll stretch and warm up before running at least once around the track. You’ll replace junk food with fruits and vegetables. It’s the same with writing – don’t try to knock out an entire picture book or novel on Day One. Instead, warm up with a writing exercise prompt or brainstorming idea session. Write “once around the track” – i.e., set a realistic goal, like one paragraph or one page for Day One. Then avoid all that Internet junk food (for me, it’s adorable cat Youtube videos!) and read GREAT BOOKS. Nourish your brain with all those words (AKA “Mental Vitamins”)! Eventually, you’ll be able to write longer passages, just like our athlete who can now run four or five miles every day instead of barely making it once around the track. Now, what are you waiting for? To new writers: first of all, I know you are not “new” to writing. You have been journaling, scribbling poems and writing stories all your life. Now to get published! I’d like to recommend the steps that I took (after years of wandering in the writing wilderness). Read the kind of books you want to write. If you are not sure what kind of books you want to write, then just read everything until the revelation comes. I was convinced that I could only write light-hearted rhyming stories before I found my niche: Picture book biographies (in prose). Buy the latest edition of Writer’s Market. Take the advice that you will find in this book. Keep writing. Incorporate what you are learning. Join the Society of Children’s Book Writers and Illustrators (SCBWI). Study their website. Attend SCBWI Conferences: Be an active participant. Attend workshops, meet people, network, learn, buy books; always send in a manuscript for consultation; talk to guest speakers. (I met Lee & Low Editor, Louise May, when I waited in line to speak to her after she had given a talk. I told her about a manuscript that I was working on and she suggested that I send it to L&L to be considered for their New Voices Award. That manuscript, Love Twelve Miles Long, became my first published book. Continue to attend SCBWI Conferences and submitting manuscripts for consultation. Be open to advice. During a consultation at last year’s Conference, I met the person who was to become my agent. I hope this helps and that you get published soon. With luck, your time spent in the “wilderness” will be short (but sweet)! Write every single day, and read. Then study up on the field of children’s literature. Almost daily now, I receive email letters from aspiring authors requesting my illustration services for manuscripts they’ve written. They think that in order to get published, they need to find an illustrator first. That’s so not true, and speaks to the fact that they have not done their homework. 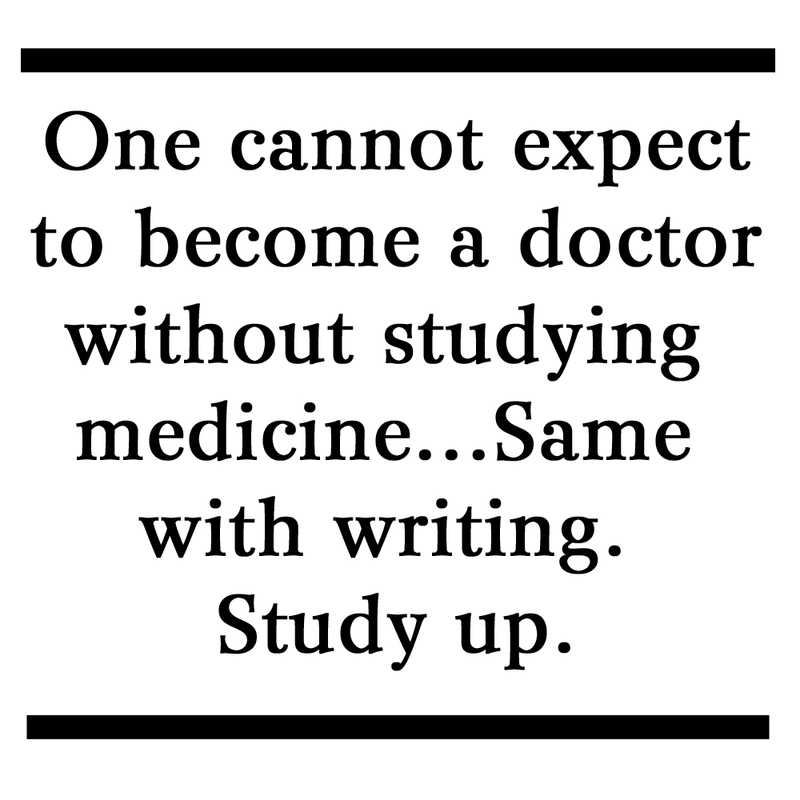 Not to sound preachy, but one cannot expect to become a doctor without studying medicine. One cannot expect to become an auto mechanic without learning how engines works. Same with writing, and especially with writing for children, as many people think. Study up. Many children’s and YA authors have websites that offer writing and publishing tips. Many publishers and literary agencies do too. Trust that you have stories to tell, and work every day to draw those stories out. Make writing a habit, even if you have only a few minutes to spare for it, and even if you don’t think you have anything worthwhile to say. Often, I’m inclined to put off writing until I have a story all figured out, or I know exactly how the pieces are going to fit. I think this is a mistake – editing is important. It’s one of my favorite parts of the writing process, but too much self-editing at the beginning can really gnaw at your confidence. Sometimes, to get myself past mental roadblocks, it helps to switch to longhand. Unlike typing, using a pen and paper feels more fluid and less official, and in some ways, having a more physical connection to the work seems to spark creativity.